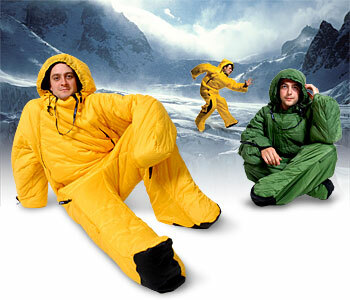 The “Selk bag” might look like an adult sized romper-suit but I can see the logic. Ever tried getting into / out of a sleeping bag in the middle of the night? For that matter have you ever woken up on a cold winter’s morning and wondered how you’re going to get out of the bag and into your clothes without important body parts icing up in the process? I am not sure, but I think Sasquatch sitings are set to go through the roof!